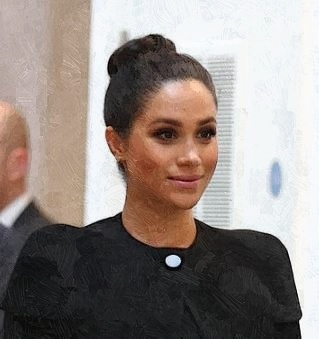 The pregnant royal chose a sleek topknot hairstyle and all-black outfit including a recycled Givenchy coat for a meeting with academics and university leaders on Thursday. The Duchess of Sussex arrived at City, University of London, Islington. She flaunted her baby bump while smiling at onlookers and giving a comforting touch to her unborn child, which is due in May. She previously revealed that education is a cause close to her heart when she shared her own struggle to fund her bachelor’s degree. Meanwhile, Meghan once wore the same black Givenchy coat on Remembrance Sunday in November 2017.